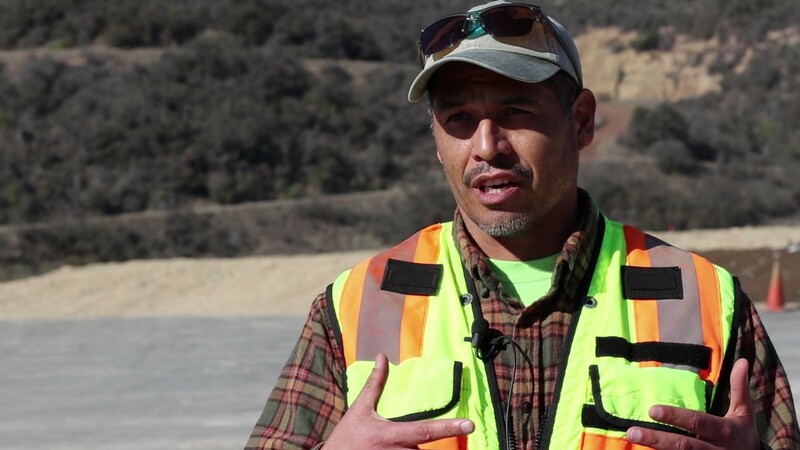 3 min: Drone landfill survey to create a topographic profile of the Santa Barbara site which is then compared with a previous survey to determine the volume of air that has been filled with rubbish and soil. 2 min: “I can collect all my data from 3 quarries in 2 days. This used to take 2 weeks, and a lot of aspirin afterwards” - John Davenport at Whitaker Contracting. Stop sending staff out to walk stockpiles and reduce the number of field surveys required to validate them. A drone operator will get volumes quickly and safely through aerial photography and then allow you to do comparisons from previous surveys. Drone survey can also identify areas suffering from uneven settlement. Use drone photography data to create spatially accurate maps and models that you can overlay with design files to ensure work is progressing to plan and that deviations are identified and rectified early. Good site surveys by drone and bench level plans can improve blast results and significantly reduce drilling and blasting costs for quarries and mines. Use the detailed elevation data to quickly calculate your sites total airspace. With drones making frequent flights affordable, you can also compare volume changes over time. Identify areas suffering from uneven settlement. Other information such as ground water monitoring well locations can be overlaid to give a full picture of site infrastructure. Hire a drone operator to create a highly accurate map of your site which you can overlay on a landfill design to ensure you are keeping within the approved limits. Inspect for erosion, fence line conditions, vegetation coverage, groundwater and other physical aspects of your landfill site. After the drone has landed and the data is taken out of it, various platforms such as Propeller and Arc GIS can be used to stitch the aerial photography and process the data to deliver 3D terrain models. Outputs are geo-referenced and ortho-rectified, meaning measurements and calculations can be taken directly from them - distance, area and slope calculations right up to stockpile volume analysis, sight lines or watershed runoff simulations. Red Bird and 4D Mapper are programs that make the final models visible via your internet browser so site managers can easily view them without needing to download expensive software. These platforms basically allow drone pilots to manage and share their models in a browser – be it LiDAR, point-clouds, orthomosaicks, 3D terrain models (DSM/DTM) or GIS. Site managers can even do some simple interactive functions such as measure points, lines, areas, profiles and volumes. How much do drone surveyors charge? Experienced drone surveyors in Australia will charge around $175-$285 per hour for survey and mapping work. These guys are not your run of the mill drone flyers – they understand the need for flight preparations in order to get accurate data sets – weather checks, take-off and landing, sufficient imagery overlap, and the correct software/algorithm for processing the data after it has been acquired. 1. Licenced and insured. Commercial drone operators must have one of these 3 options covered before they can legally be hired by you. Also make sure your chosen drone operator holds a current public liability insurance policy that specifically covers the operation of a drone. Obviously site access also needs to be authorised as usual. 2. Relevant experience. As always - check the operator’s portfolio of models for relevant experience with dirt related sites in general (landfill, quarry, mine etc.). Accuracy is everything in this game - find someone who can actually demonstrate that they have produced accurate and well received data sets for other sites and seek out a reference from them. The down-stream costs of a questionable dataset are usually much higher than the cost of hiring a experienced operator in the first place. 3. Area approval. Sometimes drone operators will need to request an area approval depending on the job location. You should ask your chosen operator about this before they commence the work. E.g. if your site is located near an airport / aerodrome. 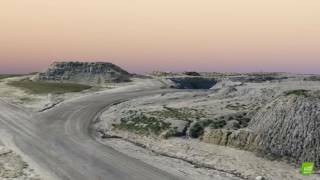 Drone photogrammetry of a 2km x 2km old mine site. We need to design some new lines there (prepare a powerline design program). Need photogrammetry of drone photography as we need them to be a certain distance off the ground. Maybe the best way is a point cloud that will go into our CAD program. it’s an old mine site that garbage is currently going into. We can tolerate +- 25cm on vertical so photogrammetry would be ok.
About 30km south of **********. We seek approximate pricing for Drone Operator with equipment to complete a photo survey of a mine site near ******, Queensland. The area is approximately 150 hect (400 Acres) and needs to have 80% photo overlap and use ground control points or RTK. Please offer 2 prices... one with GCPs supplied and fixed by the mine site and the other with GCPs supplied and managed by you. There is no set date for this work yet. We will only require a USB stick with the aerial photography as we will use another supplier to complete 3D map rendering. Thanks. We have one of the largest landfill sites in WA. Need someone to fly a drone 9hrs a day. 5 days a week for 12 weeks. We have done a short trial which went well and now want to do it for an extended period (12 wks) so the birds eventually move on to a different location. So a drone needs to be up the whole 9 hrs (maybe alternate 2 drones). Please quote including insurances and travel. It’s about half an hour from ********. We can buy the drone if you prefer.